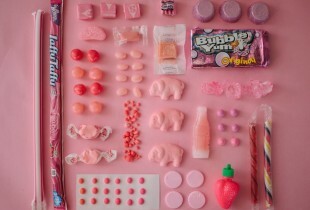 Austin based shutterbug Emily Blincoe has an incredible ability for combining edibles and art. She showcased this talent in her ampersand-based photographic series, in which she recreates the underrated symbol out of everything from mashed potatoes and gravy to chicken and waffles. 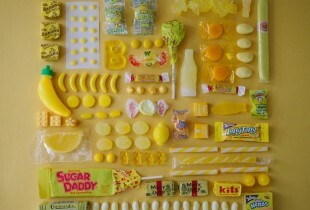 Now, she’s exploring colors and candy in her organized ode to everyone’s sweet tooth. 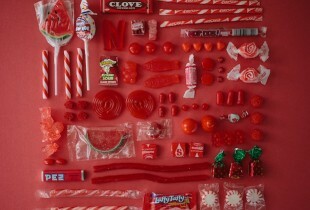 While this isn’t the first time that food and color have come together outside of a dinner plate (see Pantone series), Blincoe’s monochromatic version has the ability to make a singular color droolworthy, which proves, yet again, that playing with your food is the best thing you could ever do. We promise, you’ll be craving blues, reds, and greens by the time you finish flipping through Blincoe’s photographs. 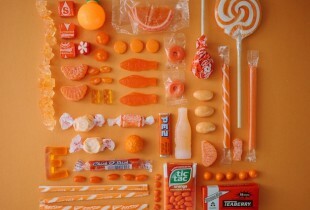 Click through the gallery above to see how you wish a candy aisle was organized. All photos courtesy of Emily Blincoe.